Canceled: Unless you were a die-hard fan of Once Upon a Time in Wonderland, there aren’t any genre-show cancellations worth your tears in ABC. And if you were a die-hard fan of Once Upon a Time in Wonderland, c’mon, find a better show. 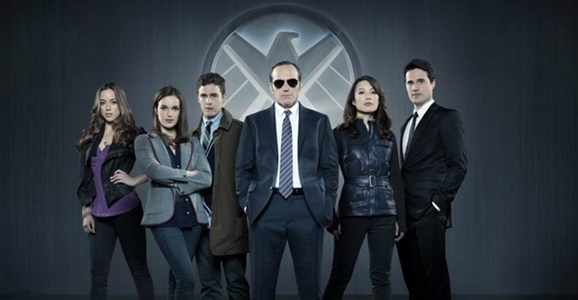 The Bottom Line: For much of its freshman season, Agents of S.H.I.E.L.D. was something a punchline, certainly more than it deserved to be. Let’s face it, spinning a TV series off the mega-successful Marvel Cinematic Universe was always going to be an uphill battle against colossal expectations. And I’ll be honest, the repeated “Just wait, it’s about to get awesome” dispatches from the show’s producers started bringing to mind some of the worst memories from Lost’s run. But whaddya know, once the show was allowed to play the ace card they’d been concealing — the thorough infiltration of S.H.I.E.L.D. by HYDRA agents — the status quo was upended in a way that makes me seriously excited to see where the show goes in season two. Hopefully that narrative momentum will only increase heading into 2015. S.H.I.E.L.D. will also be joined by another Marvel property on ABC’s lineup, the long-rumored Agent Carter, which stars Hayley Atwell as Captain America’s former main squeeze Peggy Carter, now turned badass Agent of S.H.I.E.L.D. Since we’ve seen that organization effectively destroyed in Agents of S.H.I.E.L.D., it’ll be interesting to look back at the group’s founding, when they were fighting a much more straightforward battle against the Nazis HYDRA.